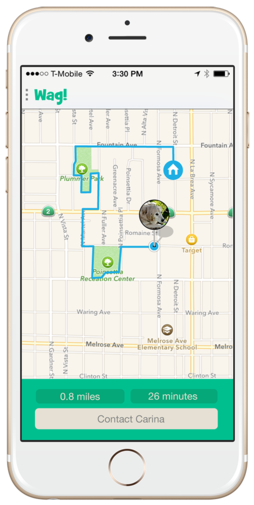 Track your dog's walk live! Watch your pup's walk in real time. Whether you are 1,000 miles away or in the office, you'll know the exact route of your furry loved one. Get an instant report on how the walk went! Once the walk is complete, you’ll receive a report card with a photo, the distance traveled, a bathroom update and information about how your pup behaved. Your dog walks for charity! 10¢ of Every Mile Walked goes to Best Friends Animal Society. Best Friends is the largest sanctuary for homeless pets and has saved the lives of over 13 million dogs. Sign up to get your first walk free!